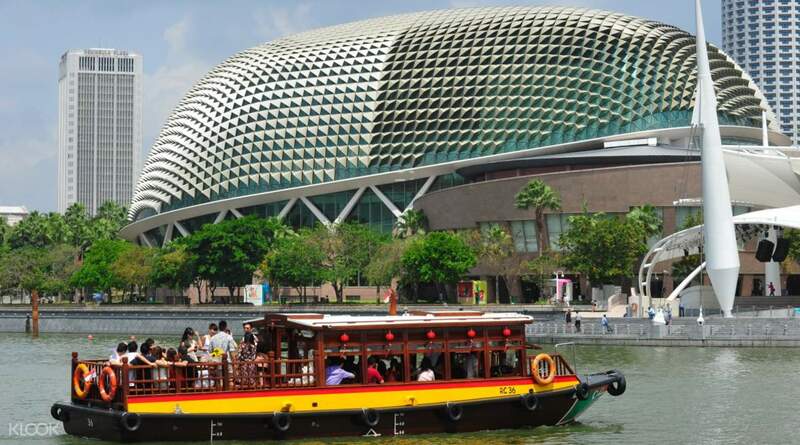 Discover the rich history behind the sites along the river including Raffles Landing Site, The Merlion, The Esplanade, Marina Bay Sands and more! Hop off at any jetty along the cruise route and continue your exploration journey on foot! 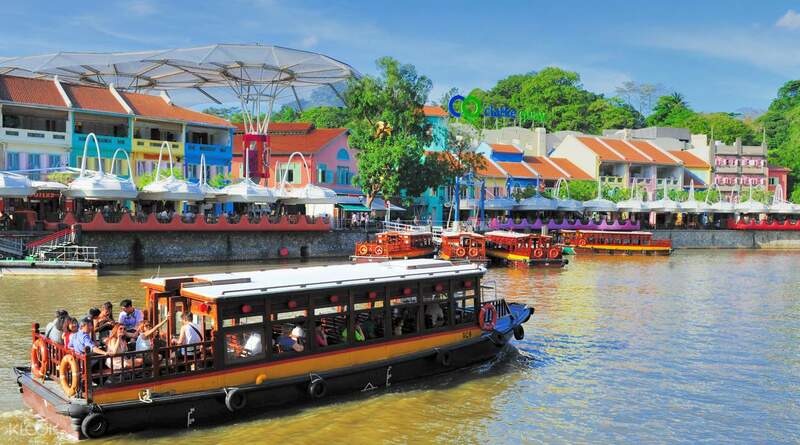 Enjoy the rustic charm of the Singaporean bumboats - an iconic way to traverse the Singapore river for tourists and locals alike. 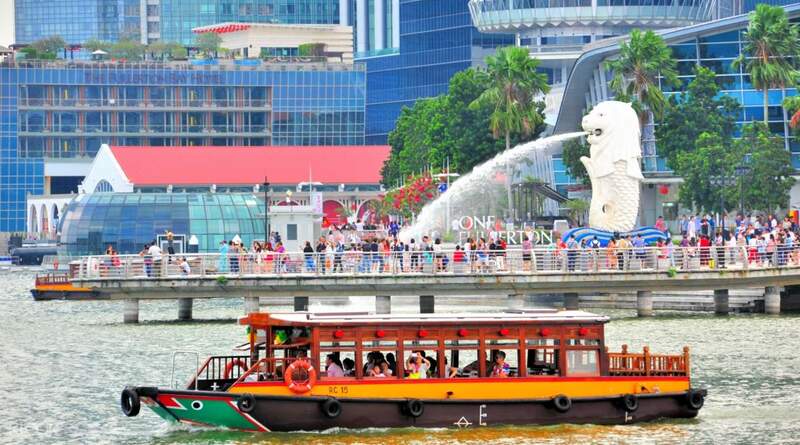 Board the boat at Clarke Quay and enjoy a 40 minute cruise, passing by some of Singapore's popular riverside highlights. Sit outside or inside, and listen to the interesting commentary about all of these sights onboard. Alight at any of the jetties and continue your journey on foot (note that you can't re-board the boat once you get off), or stay onboard for the entire trip to see Singapore from a different perspective! The river cruise was a great experience, especially when you did it after the sun down. The water breeze is beating the heat of Singapore. The boat went by many famous attractions. Klook makes the whole booking and redemption process easy. It will be awesome if the boat has some louder speakers on the outside deck for passengers to listen to the background of each historical places. The river cruise was a great experience, especially when you did it after the sun down. The water breeze is beating the heat of Singapore. The boat went by many famous attractions. Klook makes the whole booking and redemption process easy. It will be awesome if the boat has some louder speakers on the outside deck for passengers to listen to the background of each historical places. Best to experience at night. This is a roughly 30-40minutes ride across the Singapore River. Through the cruise you will see the highlights of Singapore - Marina Bay Sands, MBS Grand Theater, and Merlion Park. Night life in Clarke Quay is also a must-visit: this is where the cruise will start. Best to experience at night. This is a roughly 30-40minutes ride across the Singapore River. Through the cruise you will see the highlights of Singapore - Marina Bay Sands, MBS Grand Theater, and Merlion Park. Night life in Clarke Quay is also a must-visit: this is where the cruise will start. Easy redeem of ticket. Queues are quite kong but they have separate queue for klook, tours and walk in. Best time to ride around 7:15pm. Also book this if you want the most picturesque view of Marina Bay Sands and Merlion. Easy redeem of ticket. Queues are quite kong but they have separate queue for klook, tours and walk in. Best time to ride around 7:15pm. Also book this if you want the most picturesque view of Marina Bay Sands and Merlion. Nice leisurely cruise down Singapore river and marina area. Opportunity to take great photos of Singapore skyline from a different pov. Multiple drop on, drop off points to board/alight the boat. Recommended! Nice leisurely cruise down Singapore river and marina area. Opportunity to take great photos of Singapore skyline from a different pov. Multiple drop on, drop off points to board/alight the boat. Recommended! The queue to both board the boat and collect the tickets was atrocious and not very organised but the ride itself was lovely. Best to do it at night because of the nightlife and the way the city lit up. The queue to both board the boat and collect the tickets was atrocious and not very organised but the ride itself was lovely. Best to do it at night because of the nightlife and the way the city lit up. I was in Singapore for a conference. While the rest of the group went to a bar to drink and I walked over with them, I looked on Klook and I saw this option. It was so easy to book, that I did it within moments, had 5 minute walk, held up my phone, passed the lines and got straight on the boat. The people on the boat next to me asked how I found out about it, asked how much my ticket was and I realized mine was a fraction of what they paid. It was well worth the trip and less than I’m sure people paid on alcohol, plus a far more enjoyable experience for me. The lights were beautiful, so I recommend taking a tour when it’s dark. I was in Singapore for a conference. While the rest of the group went to a bar to drink and I walked over with them, I looked on Klook and I saw this option. It was so easy to book, that I did it within moments, had 5 minute walk, held up my phone, passed the lines and got straight on the boat. The people on the boat next to me asked how I found out about it, asked how much my ticket was and I realized mine was a fraction of what they paid. It was well worth the trip and less than I’m sure people paid on alcohol, plus a far more enjoyable experience for me. The lights were beautiful, so I recommend taking a tour when it’s dark.